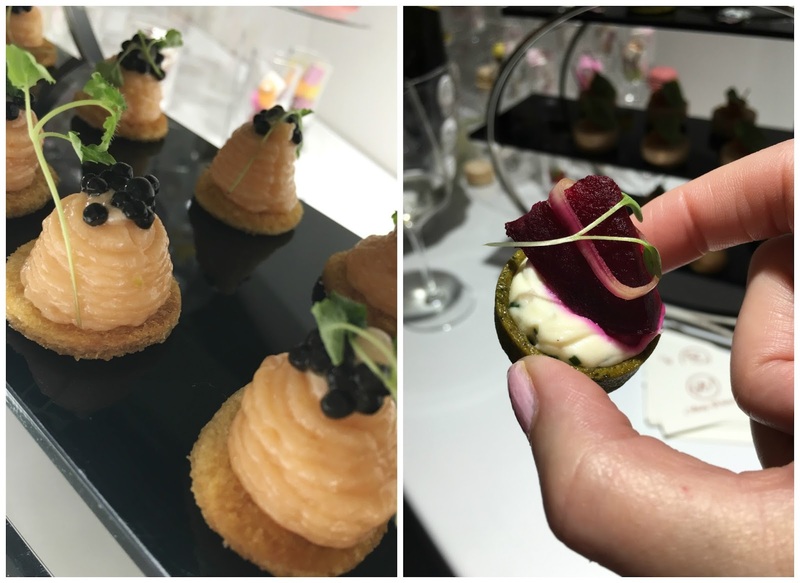 The other week a select group of bloggers were invited to an event at Farringdon & Forbes, the new luxury home fragrance brand on the block. 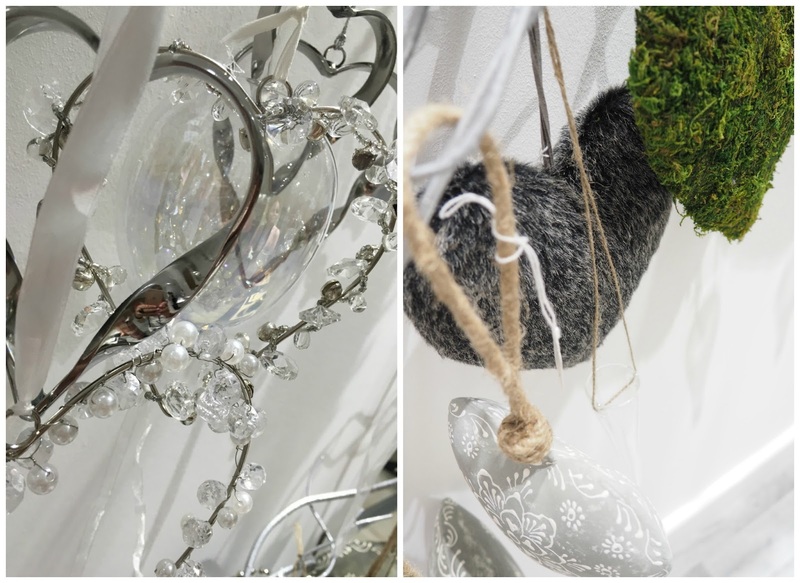 Located in Resorts World Birmingham the store oozes style and elegance and is definitely the type of store to lure me in without hesitation. Jules, the founder of Farringdon & Forbes and the rest of her team offered us such a warm welcome, along with delicious canapés and prosecco. Great start! 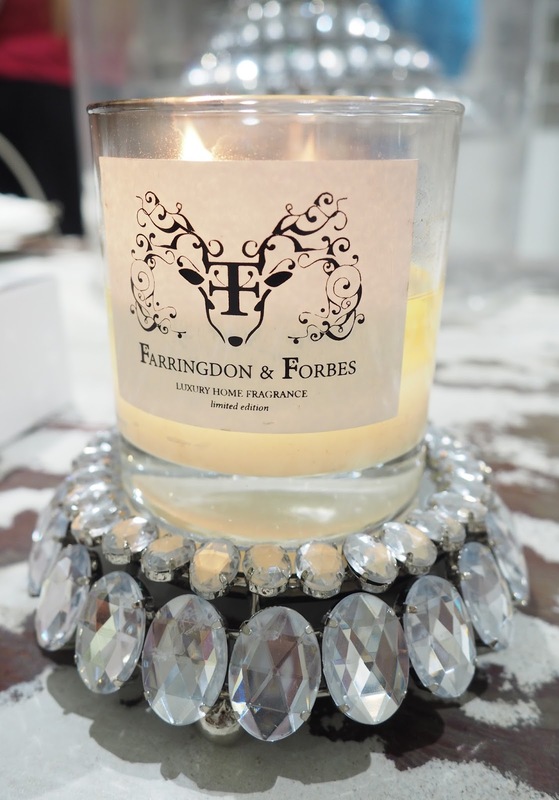 Quite simply the aim of Farringdon & Forbes is to provide luxury, yet affordable home fragrance without compromising on quality. All of their candles are 100% soy wax and hand crafted in Warwickshire. 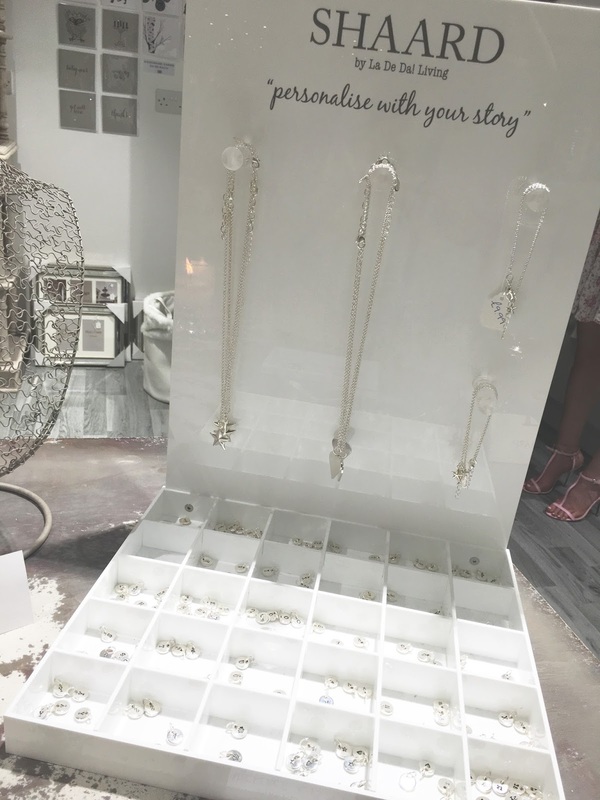 Proudly supporting UK trade the brand are also hot on recycling and offer their customers 10% off their next purchase when they return their empty glass. What a fabulous idea! 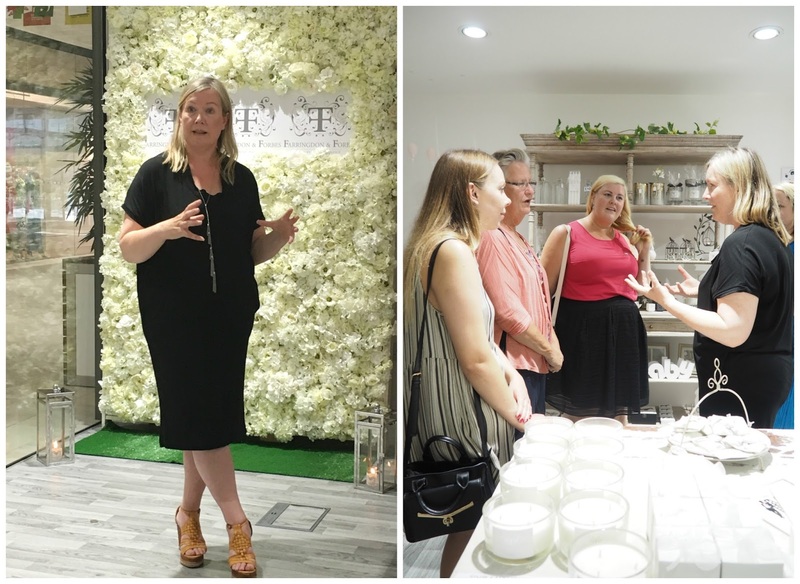 Jules talked us through her vision for the brand, about the fragrances on offer, of which there are many and how they introduce new scents throughout the year to reflect the seasons, her passion was evident and really quite infectious. With citrus scents, lavender and sage and the personal favourite of mine, Jasmine and honeysuckle. 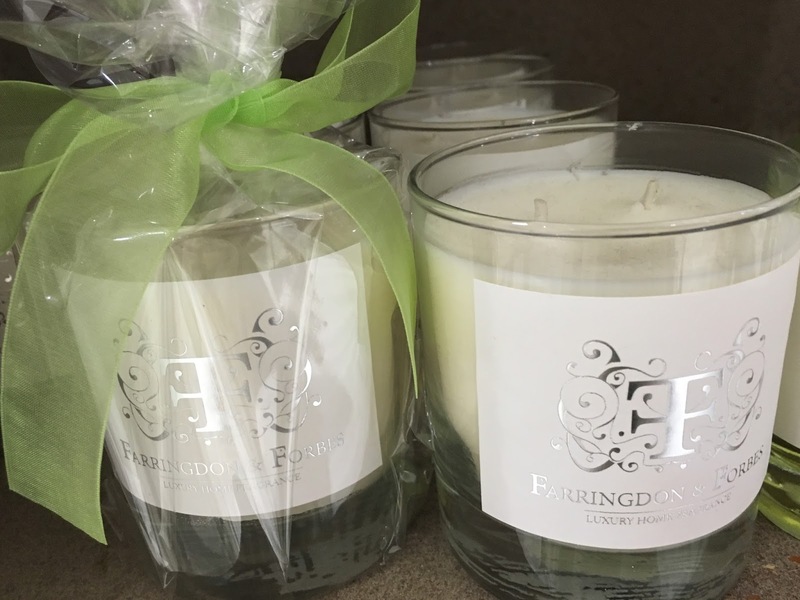 I was lucky enough to attend the prestigious White Party in London held for the beauty and aesthetics industry and Farringdon & Forbes were a sponsor of the evening, providing these sensational smelling candles for all the tables. I was hooked from that moment on. The select few at the event also got to 'sniff' some the new collection which is soon to be released, and includes scents such as Fresh Fig & Green Apple, Pomegranate & White Fig and Lime, Basil & Mandarin, which was my favourite of the three, I need that one in my home that's for sure! I was lucky enough to have the Pomegranate & White Fig candle in my goody bag to take home and whilst it is nice, the fragrance just isn't that strong. 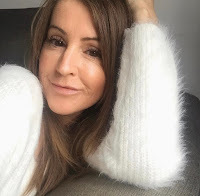 Jules said it's important to be honest in our review and that's what this blog is all about, so in all honesty I feel that fragrance needs a little more oomph. They offer home fragrance to suit everyones budget, from tea lights, which incidentally burn for a whopping 7 hours (approx), twice as long as your average ones, reed diffusers, smaller candles starting from around £10 to the larger candles, which if I remember rightly were around the £25 mark. 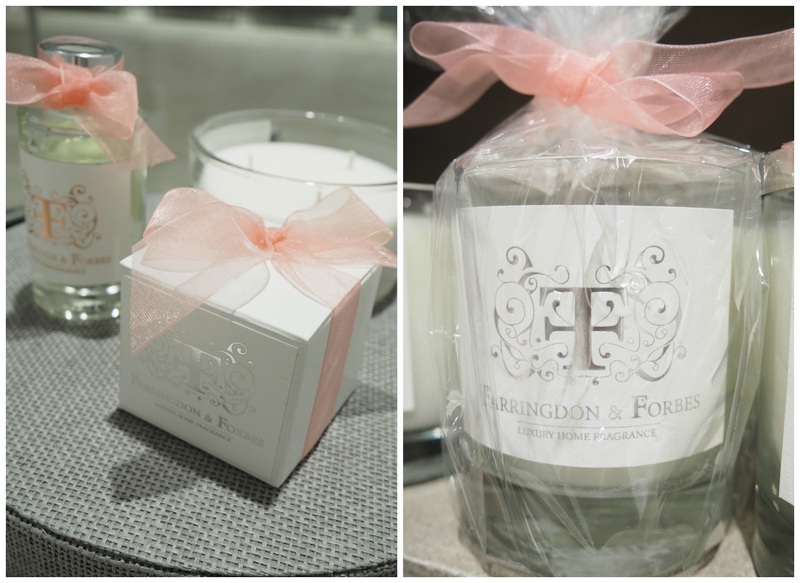 Farringdon & Forbes can also work with you to create a bespoke fragrance for your wedding or special event. 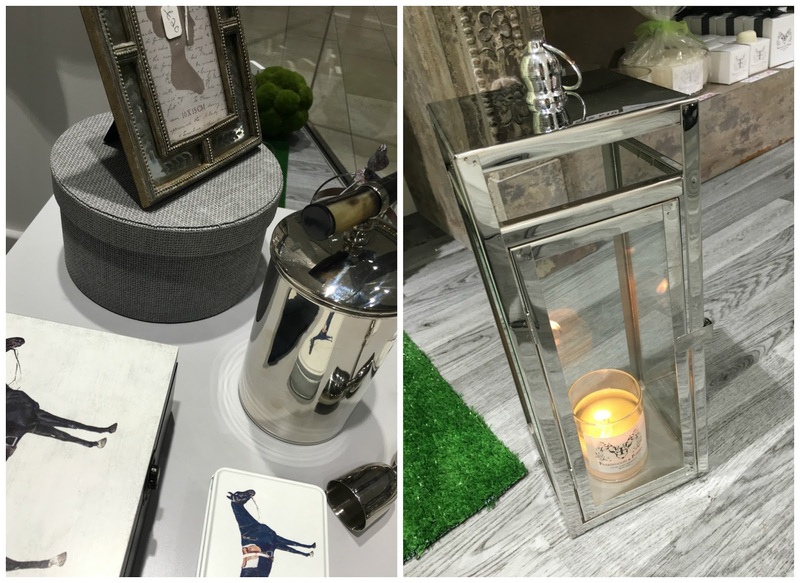 As well as home fragrance Farringdon & Forbes offer a great selection of interior gifts, with the muted tones of white, grey and silver running through the store, keeping it stylish and bang on trend. They also sell cards, and jewellery, all at very reasonable prices. 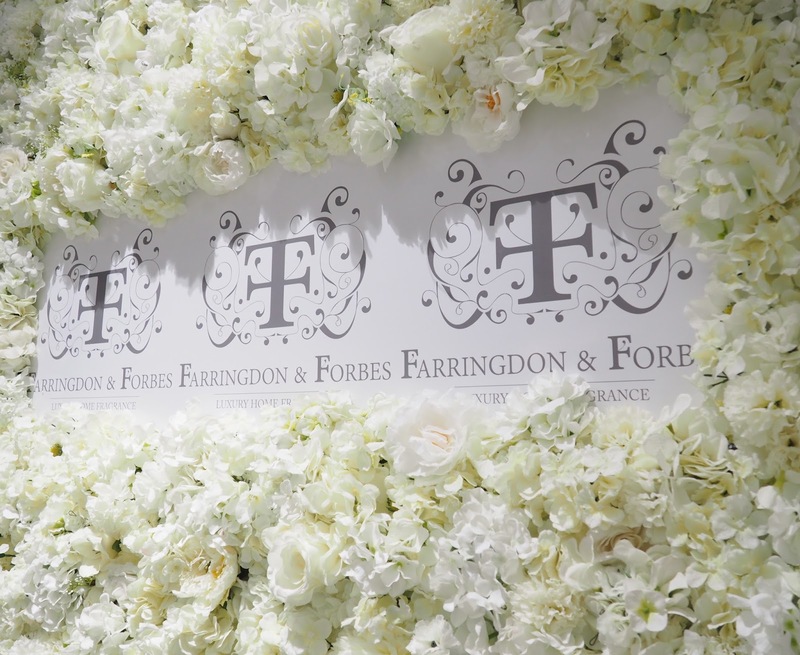 If candles, diffusers, gifts and jewellery weren't enough they recently launched their 'posh flower walls' which are available to hire for weddings or any special event. The one in store and behind Jules in the shot below is called the Kim K. Unique flower walls can be created to suit your requirements. Let's take a moment to talk about the delicious food. 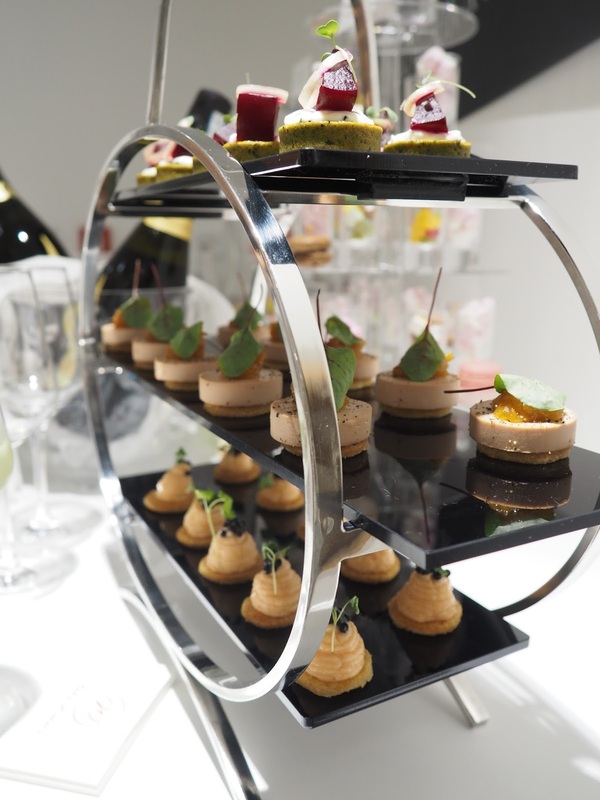 The mouthwatering canapés were provided by Waters restaurant located on the floor one of Resorts World. Oh my, the goats cheese and beetroot were an absolute delight for the taste buds and I couldn't get enough. I promise I didn't eat them all but as the last one was shouting out to be eaten I may or may not have dived in to claim it as mine! 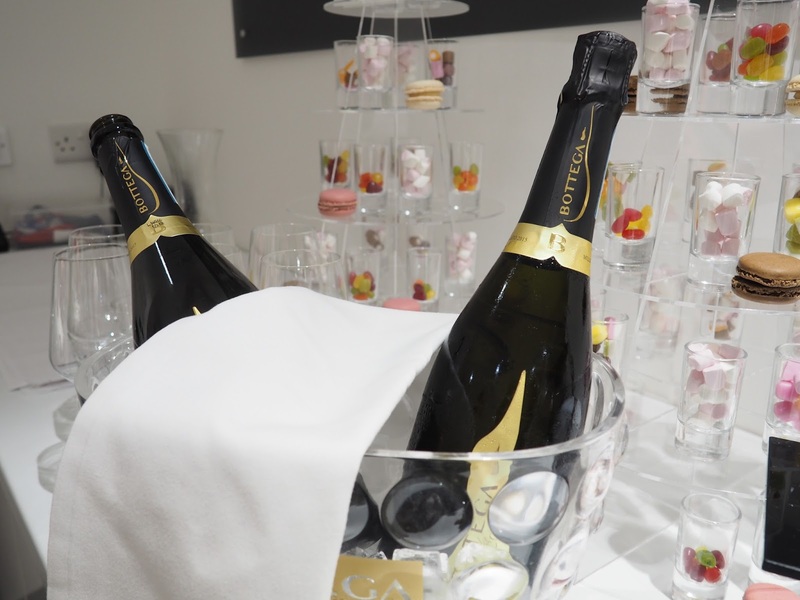 Classic cooking with a contemporary twist is what Andy Waters offers and has a varied menu available whether you're after pre concert dining (NEC is very close to Resorts World) or wanting time out to wine and dine. You can find all details here. Our dessert was the cutest little selection of 'shot' sweet treats and macarons, damn you sweet tooth! 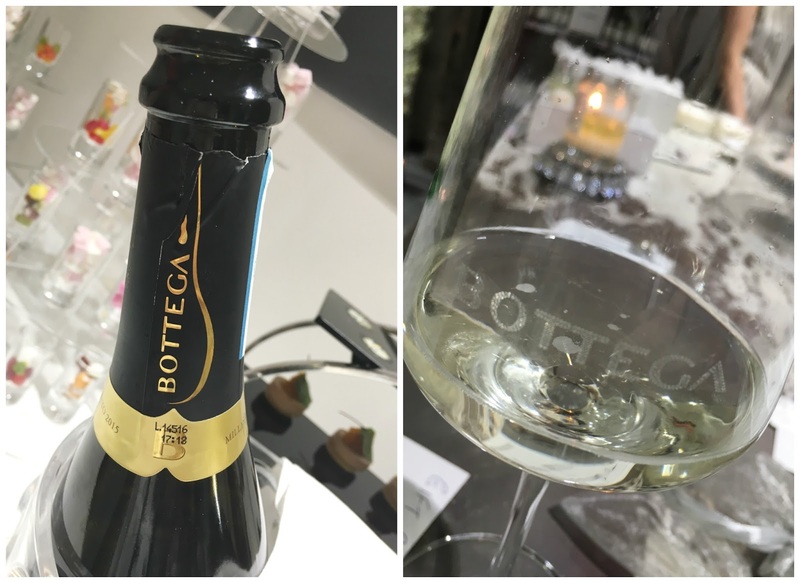 All of the above was washed down with a glass or two of prosecco from the Bottega prosecco bar. The future certainly looks bright for Farringdon & Forbes and with a little tweek here and there they could be the brand that everyone is talking about. If you're visiting Resort Worlds in Birmingham make sure you pay them a visit. Thanks so much for inviting me along.